The report below - and the witness testimony contained within it - does not necessarily reflect the views of Liverpool FC. Please be aware that the reports on these pages will contain evidence about the day of the disaster which may be distressing. 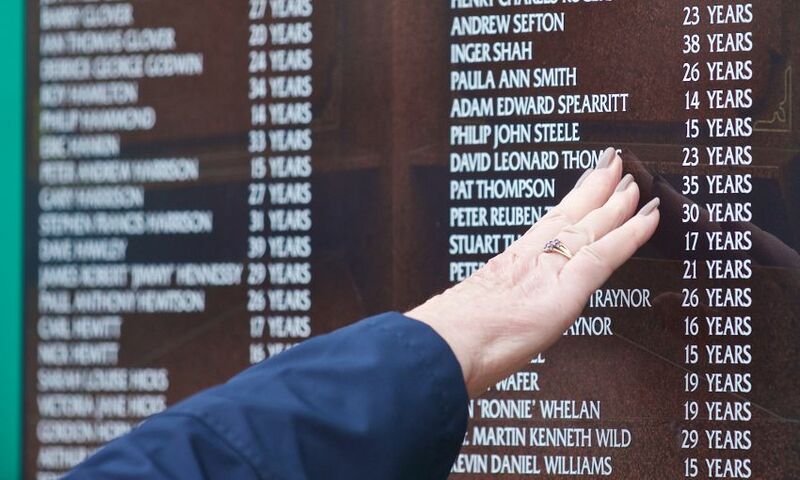 The coroner in the Hillsborough inquests summed up the evidence of off-duty medics who came to the aid of injured and dying fans on the day. Sir John Goldring continued his summing up of the case for an 18th day and reminded the jury of evidence about the response to the disaster on April 15, 1989. The jury heard evidence of Dr Glyn Phillips, a GP and Liverpool FC fan who had been in pen three. Dr Phillips, who needed stitches to his head after he cut himself as he got out of the terrace, went onto the pitch to provide assistance. Sir John said: “Almost immediately on the pitch he came across a young man lying parallel to the perimeter track. “That was, we know, Gary Currie. “We know that Gary survived. “Dr Phillips said that when he first saw Gary, he looked to be in a severe state of collapse. “He was motionless, deathly pale and deeply cyanosed or blue. Dr Phillips said he asked for a defibrillator and oxygen cylinder but he was told there was no defibrillator and was given an oxygen cylinder which he said was empty. He said after 10 to 15 minutes of CPR Gary’s heartbeat returned and he took him to an ambulance where he started breathing again after mouth-to-mouth. The court was also reminded of the evidence of Dr Brian Timney, who had been in the Spion Kop before he went to assist casualties inside and outside the gymnasium. Dr Timney said he went to the police room near the gymnasium and told an officer he was a doctor. Sir John said: “He said ‘very clearly’ he wanted assistance in organising triage for the injured. “As Dr Timney put it in his 1989 statement, the officer said he did not know what was going on, he could not help. Dr Timney said before the gymnasium was opened for use as a casualty clearing station there was “really no management, no organisation or direction”. Fourth year medical student Dr Niall Wilson had told the court he had gone to the rear of the stand to help after the disaster. He said: “No one seemed to be assisting the injured, so I just did what I could. “I reassured people and checked their pulses and placed them in the recovery position. The coroner said Frederick Eccleston, a senior nursing manager, described the situation on the pitch as “completely chaotic”. Sir John said: “He said the police, including senior officers, and fans were doing their best to help. In his 1989 statement, Mr Eccleston said: “With better leadership, perhaps more could have been done and more saved. The court was reminded of the evidence of Professor John Ashton, now president of the Faculty of Public Health, who was sitting in the stand above the terraces and went to the inner concourse to help. Sir John said: “He said it was chaos. There was no one to report to. “There were a certain number of police officers. “There was no evidence, he said, of any health service people. 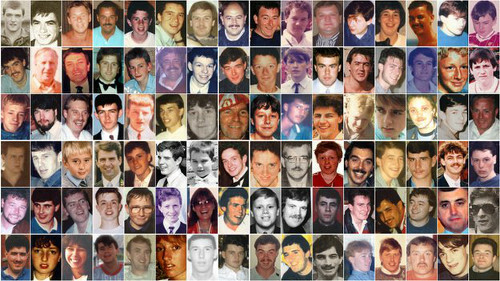 Police formed cordons across the pitch at Hillsborough as the emergency response to the disaster was going on, the inquests heard. Coroner Sir John Goldring continued summing up evidence relating to the police response to the disaster at the FA Cup semi-final on April 15, 1989. The jury was reminded of evidence from officers who had been called to the pitch after the crush in the central pens of the Leppings Lane terrace started, including some of those who formed cordons aimed at prevented fans fighting. The court was shown footage of a cordon of officers moving from the Kop end of the pitch to the halfway line between 3.38pm and 3.40pm, around the same time as a second South Yorkshire Metropolitan Ambulance Service (SYMAS) ambulance drove onto the pitch. The court heard Inspector Brian Wallace was initially in a cordon in front of the North Stand of the Sheffield Wednesday ground and then moved to join officers across the halfway line. Mr Wallace had said that fans were screaming at officers: “What are you doing? Get over there and help”. He said he was not told the nature of the problems. The jury was reminded of evidence of former superintendent David Chapman, which had been read as he was not well enough to attend. Mr Chapman, who was the sector commander of Nottingham Forest fans, had formed officers into a cordon in front of the Spion Kop and then moved them into a cordon on the halfway line after speaking to Chief Superintendent John Nesbit. The jury was also reminded of Mr Nesbit’s evidence about forming the cordon. Sir John said: “He said he noticed a number of Liverpool supporters were starting to drift towards the halfway line. “He decided to put officers across the halfway line. “The last thing he wanted was any confrontation between Liverpool and Nottingham fans. “It was, he said, a preventative measure. “He had not witnessed or had any reports of fighting between fans on the pitch. “The cordon was not, he said, an obstruction for people who may well have wanted to go to the gymnasium or make enquiries or anything like that. Click here for a full transcript from March 15.